This sealant is perfect for all glass applications. It is formulated to bond to the surface and product glass from all staining agents. 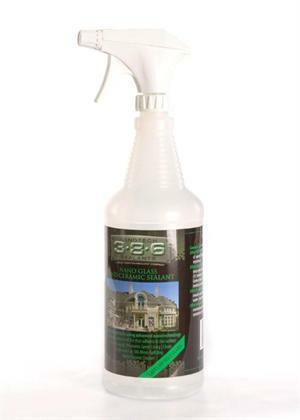 It prevents unsightly and difficult to remove etching stains! We recommend you pre-clean the surface with our glass cleaner prior to treatment for proper bond. Treat 700 - 1000 square feet! Your satisfaction guaranteed or your money back!